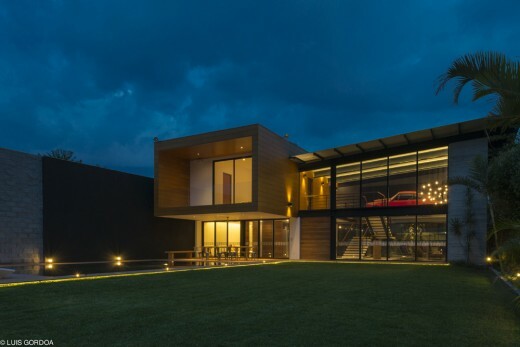 This weekend house is projected on a land of little over 1,000 square meters and it is articulated in two main volumes: a prism into which another rectangular wooden prism is embedded. As the owners of the property have three little children, one of the objectives in designing the house was to give it a feel of transparency. In such a way, the parents could permanently watch over their children as they played in the garden or in the swimming pool. 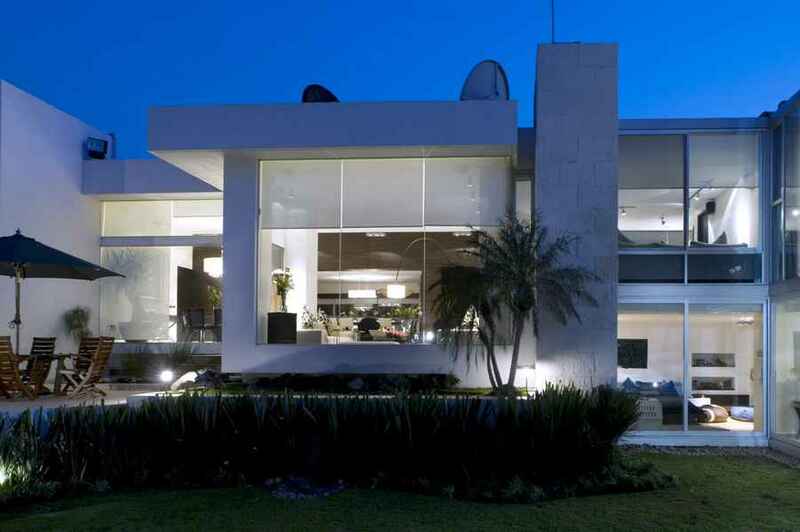 This residence is located in an area of Mexico where the weather is just privileged -warm and sunny most of times. 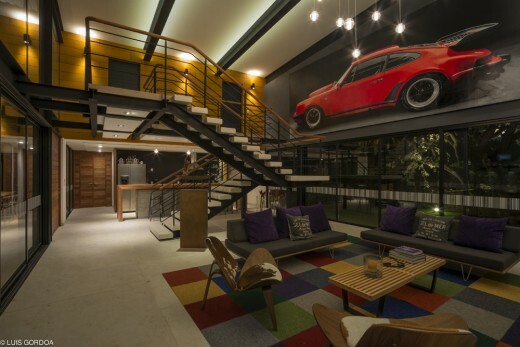 The design had to let natural daylight into all the areas of the house, and facilitate cross ventilation as well. 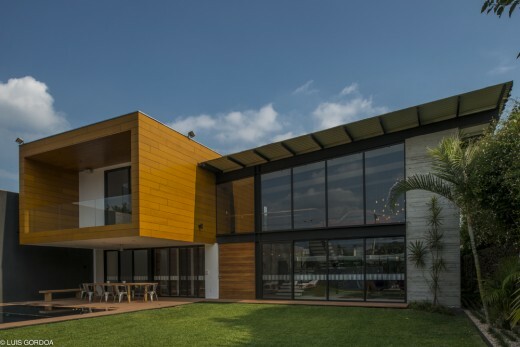 As to the architectural programming, the spaces in this house fulfill the needs of the family: a living room that works as a TV room and is connected to the breakfast bar and to the outdoor area, a recreation room that might work as a home office, and the bedrooms. Since the very beginning, the purpose of this project was clear: to create a house in which a balance between modernity and coziness was struck. Therefore, we chose to use few materials in order to achieve a quick reading of the volumes. The first prism consists of a black metal structure that ends on an exposed concrete staple. The two fronts of this volume are made of glass, which helps create a transparency to the interior area and gives a feeling of permanently being in touch with nature. The second volume is a cantilevered wooden cube, under which a terrace is generated. Requirements for the design of this project included a swimming pool, and we fulfilled them by creating one and covering it with black venetian glass tiles. 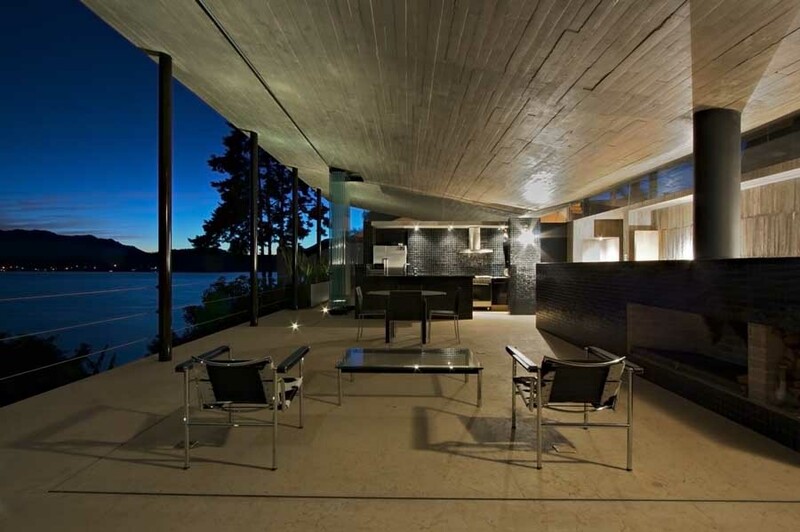 In this way, the swimming pool was turned into a water mirror that reflects the house. For this project, we decided to integrate art into architecture so that the selected works became a part of the design instead of functioning as mere decorative items. With this principle in mind, we commissioned a hyper-realistic 2 x 6 m painting of a Porsche 78; which was placed in a double-height space. 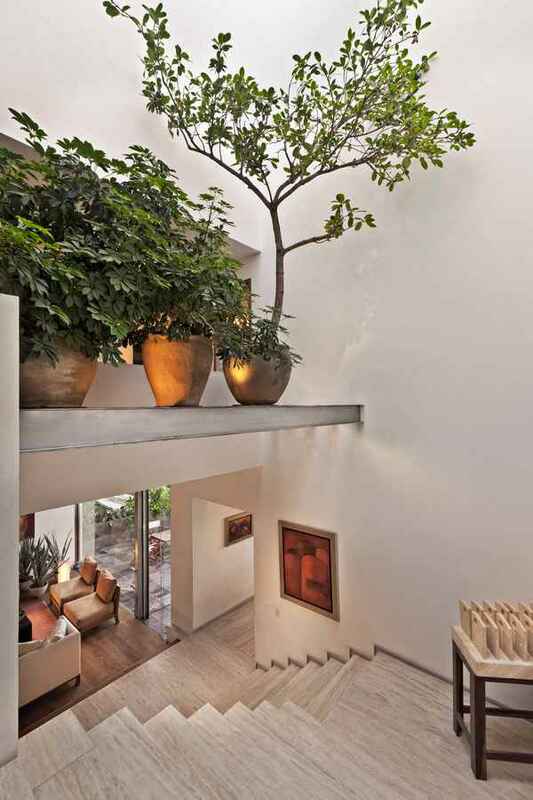 In addition to the painting, Juan Carlos Baumgartner designed a mural that works both as the visual end of the swimming pool and as the vestibule of the house entrance. 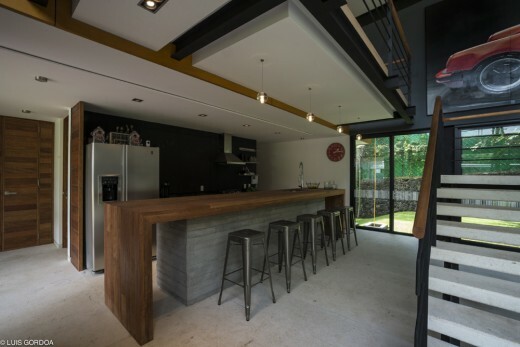 The house has four bedrooms, a double-height living room and an open plan kitchen that is integrated into the space. In the living area, a modern cast glass sphere chandelier hangs from the ceiling. By using few but carefully selected materials, we created delightful areas that met our clients’ expectations. 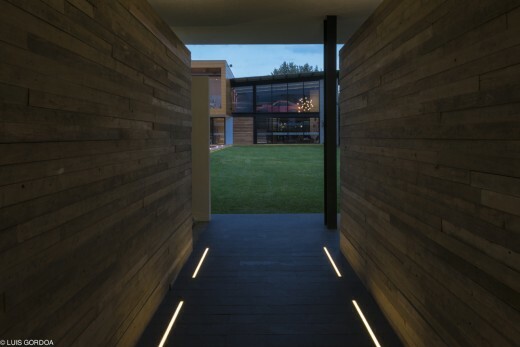 As in all the projects of SPACE, we followed sustainable design guidelines when designing Casa ALD. We used recycled content materials low in VOC levels and wood from certified forests. Furthermore, the lighting is almost entirely LED-based. Casa Lomas Altas, México D.F.